Run up to 180 modules on a single 60W power supply! *Needed: An amp to accompany any power supply. 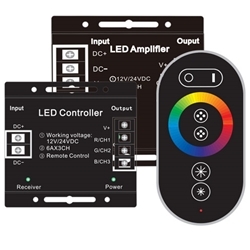 The first power supply is taken care of by the controller module but each additional power supply will need an amp for the signal to carry through.